I loving seeing neat cannisters of flour and sugar lined up on our counter. Not only because we now have the space to do so (in a place that makes sense, next to the mixer!) but also because they call to me. "We could be muffins! Or cookies! A nice cake? Bread!" Besides, it appeals to my sense of order. 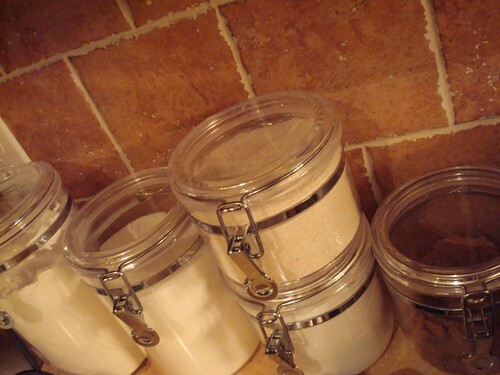 All is right with the world when you have neatly stacked containers brimming with potential.